When love is in the air, what better way to celebrate than a romantic dinner for two with great atmosphere, superior service and decadent food? Several Tampa, Fla., restaurants provide just what Cupid would prescribe when searching for a great place to take your sweetheart. It doesn't have to be Valentines Day to celebrate love. 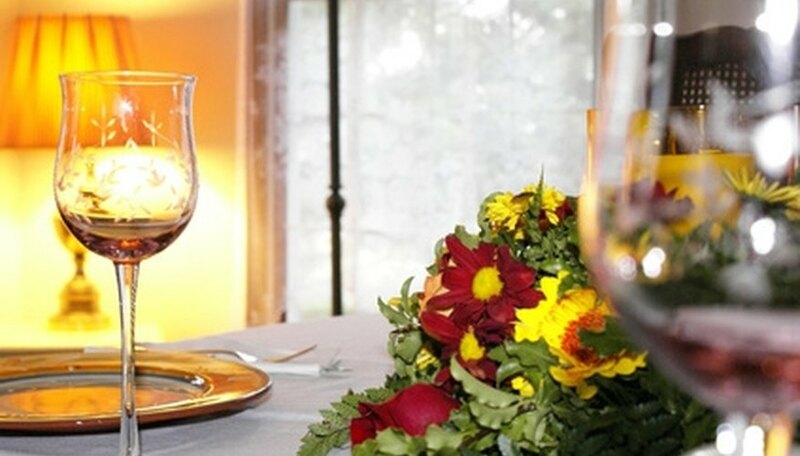 Tampa boasts an array of romantic restaurants. If it's a room with a view you are looking for, Armani's, located in the Grant Hyatt of Tampa Bay, is the place to be. With views of scenic Tampa Bay from the windows that reach from floor to ceiling, Armani's is definitely romantic. Armani's specializing in northern Italian cuisine. You can begin your meal at their signature antipasto bar featuring more than 30 items. Main courses range from veal scaloppini to wild salmon on pan fried risotto bianco. With a business-casual dress code, Armani's welcomes personal wines for a corkage fee and offers its own great selection from which to choose as well. Reservations are suggested but walk-ins are accepted. At Bern's Steakhouse, the prime beef steaks are the signature dishes, but guests also have to option to try lamb, veal, chicken or seafood delicacies. There is a dessert room upstairs and Bern's offers tours of the kitchen and wine cellar as well. Located in a former Ybor City branch bank, Bernini's menu includes beef tenderloin,lamb, pasta and duck. After a romantic meal at Bernini's, guests are within walking distance to many dance clubs and bars. Fresh salmon, Bahamian seafood chowder and shitake-crusted tuna are just a few of menu selections at Mangroves Bar & Grill. Linen topped tables and black tied waiters add to the ambiance and the portions are large so plan on enjoying a second meal of great cuisine with leftovers you are certain to leave with. MelissaS. "Romantic Restaurants in Tampa, Florida." Dating Tips - Match.com, https://datingtips.match.com/romantic-restaurants-tampa-florida-6053548.html. Accessed 18 April 2019.